Isn’t it time there was a fairy tale aimed at girls and women who wear hiking boots, don’t comb their hair, and love pick-up trucks? The prince in this story wants to marry a real mountain princess, so he searches all the mountain ranges in the world… looking in the Sierras for women in tiaras, and at Glass Mountain for ladies wearing just one shoe. He ends up going home alone, only to be found by a princess who knows what she wants and isn’t afraid to set out into the world on her own to find it. The Princess and the Pick-up Truck is a modern retelling of The Princess and the Pea, but with an Appalachian, or at least rural, slant. We all know what happens when a princess kisses a frog, but what happens when a prince kisses a fraud? I was driving a winding West Virginia road with my teenage daughter, and in front of us was a pickup truck with several mattresses heaped haphazardly in the bed. I said to my daughter, “Do you think you could sleep on that? ”My daughter has mastered teen sarcasm, but she’s not nasty about it. She is one of the absolute funniest people I know. She twisted her bangs in her fingers, smacked her imaginary gum, and said saccharinely, “Of course I could, Daddy. I’m a princess!” And this story was born. The author and West Virginia Book Company sent me a copy of this book for review (thank you). It has been published, so you can grab a copy now. He's a prince looking for a mountain princess to marry. He bought himself a pickup truck so they would notice him. And he searches everywhere for his mate. He thinks all the ladies who tell them she's a princess probably aren't. They don't appeal to him either. So he goes home and tells his mom he was unsuccessful. The next princess to show up doesn't look like one. She doesn't really act like one either. But his mom has an idea on how to test her. What an idea it is! 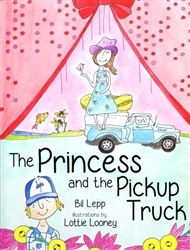 Bil Lepp won the PEN Steven Kroll Award for his children’s book The King of Little Things. 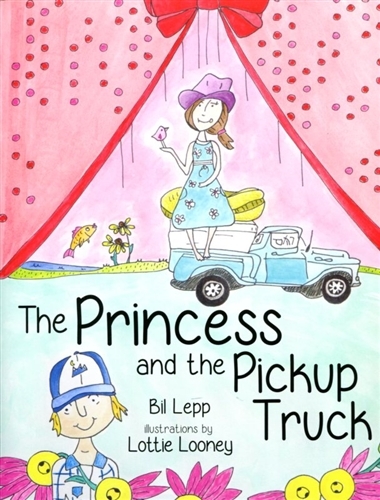 Lepp travels the country telling hilarious tall-tales to children and adults alike as a professional storyteller. His storytelling audio collections have won several Parents’ Choice Gold, Silver and Approved awards. Lepp is a frequent and sought after speaker at festivals and schools all around the country and has been a Featured Teller at the National Storytelling Festival seventeen times. He also appears regularly on NPR’s Mountain Stage. Bil lives with his wife and two children in South Charleston, West Virginia. Lottie Looney is a former art teacher at Sacred Heart Grade School in Charleston,WV. Her favorite style of art is that done by the enthusiastic mind of a child. Originally from rural Pennsylvania, she grew up catching fireflies, fishing for bluegills and playing outdoors. She sees beauty and art in simplicity. Lottie currently lives in Colorado with her husband, two spunky children and menagerie of pets.